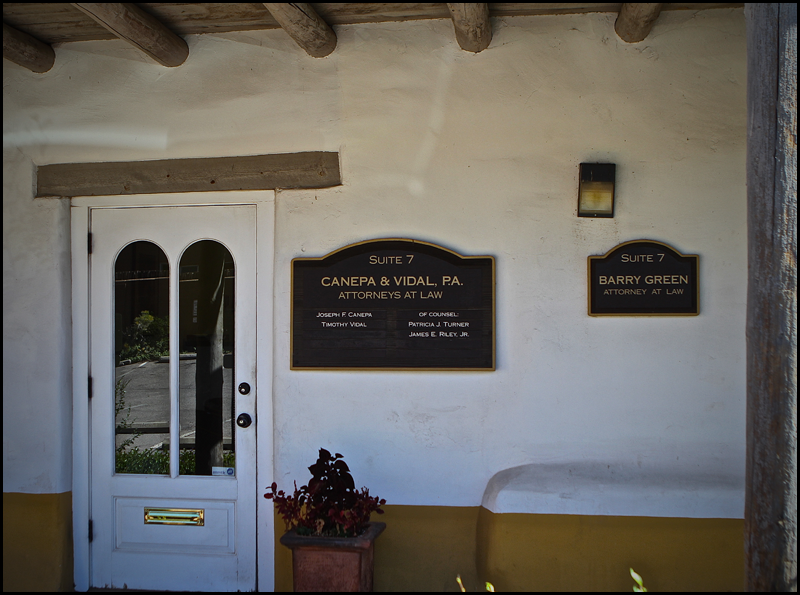 At the Law Offices of Barry Green, LLC, you will receive Mr. Green’s personal attention for your case. Mr. Green will meet with you, talk with you over the phone, and personally take your case through the various stages of the claim, including litigation. With over 25 years experience in the courtroom, your case will receive the expertise it deserves. In 2016, Mr. Green assisted New Mexico Legal Aid in recovering $420,000.00 for a disabled senior when her home went into foreclosure and sustained tremendous damage during an illegal securing and winterization/de-winterization process. Mr. Green also creatively recovered $215,000.00 for a high school teacher riding his bicycle to work who was hit by a car backing out of a small business’ driveway. In 2015, Mr. Green recovered over $631,000.00 for a wrongful death case that involved obtaining a change in the cause of death on the official Certificate of Death and obtaining insurance coverage from three different companies, one of which was not connected with the actual vehicle crash. Mr. Green also recovered over $275,000.00 for a homeowner that had been waiting five years for her insurance company to pay for the flood damage to her personal possessions. In 2014, Mr. Green recovered $400,000.00 from a funeral home for cremating Mr. Green’s clients’ loved one before they had a chance to say goodbye. Mr. Green also recovered $190,000.00 in a motorcycle crash case where the insurance company acted in bad faith. Mr. Green also had the first of five successful credit card defense cases in which a debt consolidator was barred from ever collecting the credit card holder’s alleged debt. Mr. Green also successfully recovered over $125,000.00 in assets and cash that had been embezzled from his client’s mother’s estate. In 2013, Mr. Green and co-counsel Pierre Levy, received a $3.5 million jury verdict representing a Farmers insurance agent fired by Farmers. Mr. Green also recovered $142,000.00 for a defective mobile home installation. In a very emotional case, Mr. Green was also able to restore the visitation rights of a father in a case with very unusual circumstances and unfounded allegations. In 2012, Mr. Green recovered a $555,000.00 arbitration award against a financial advisor that lost Mr. Green’s clients’ life savings. Mr. Green also mediates cases for other attorneys and successfully mediated all of those cases in 2012. Mr. Green does not charge for telephone consultations and is always willing to guide people to solutions that do not require an attorney’s help if appropriate. Mr. Green also offers discounts on his hourly rate for our elders, teachers, active service personnel, police, firefighters, and the disabled.